What a productive weekend! I’m so excited to share all the projects I conquered over the past couple days. I’m starting with this DIY framed art because I am absolutely in love with it. 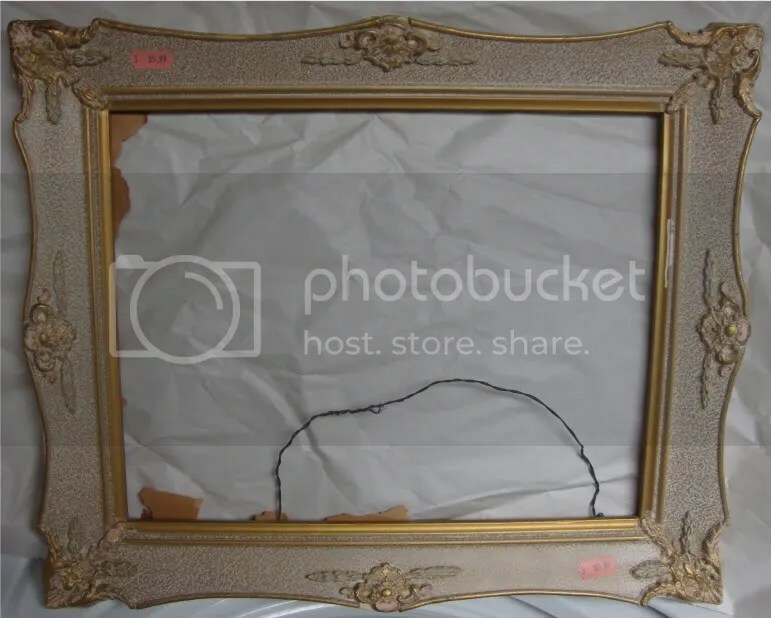 I’ve been seeking out old baroque frames in thrift stores. I’m quite obsessed with them at the moment and have been on the lookout for a large one to use as a cork board for my office. 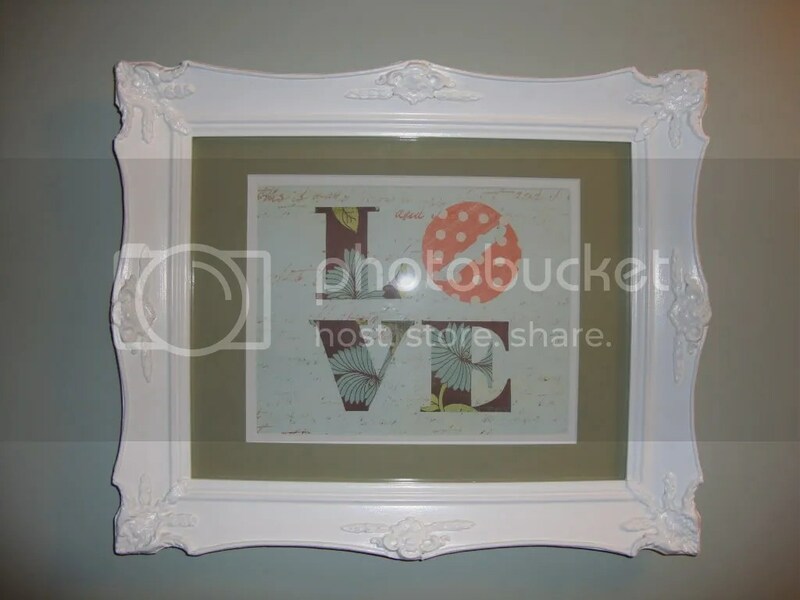 In my search I came across this frame for $5.99 at the Salvation Army. The original plan was to paint it and use it as a cork board like I mentioned above. But that just wasn’t working for me, it isn’t quite big enough for my cork board needs. So I decided to use it in our second floor hallway and that I would paint it to match the trim in a semi gloss white paint. This is where the fun starts. After the first coat (of 3) I was completely taken by the frame. I love the details and the cottage vibe it gives off in its new white coat. I spent some time scouring the web looking for quotes to frame but in the end I decided I would use the word love cutout in different patterned scrapbook paper. A trip to Micheals and I had all the materials I needed. I printed the word love off the computer to use as a stencil. Then I had the decided to arrange the letters to mimic the love sculpture at Love Park in Philadelphia! After cutting the letters out of paper and playing with the arrangement I had it just the way I wanted it. Here’s the final result. Our first picture up on the wall! Another step in the decorating journey complete. The total cost for the project$22.00, a steel for an original work of art. Let me know what you think, I love hearing what you have to say! If you have a decorating dilemma or a home staging question email amanda@sunflowercreationsonline.com. You just amaze me, It looks so good. i, too, have become quite obsessed with funky thrift frames!! it’s so much fun to see what they can be turned into with a little sanding, paint, and some creativity! i’ve been enjoying some really bright colors on the frames to male them pop- burnt oranges and teals- so pretty! love your blog, amanda- hope to see u guys soon!